The holiday season often brings unwelcome guests, stress and depression. The holidays present a dizzying array of demands, including parties, shopping, baking, cleaning and entertaining, to name just a few. But with some practical tips, you can minimize the stress and depression that accompanies the holidays. You may even end up enjoying the holidays more than you thought you would. 1. Don't “give in” to your depression, but do accept its presence in your life so you can work with it. If depression comes in part from rejecting our feelings, rejecting the depression will just make things worse. 2. If someone close to you has recently died or you can't be with loved ones, realize that it's normal to feel sad. It's OK to take time to cry or express your feelings. You can't force yourself to be happy just because it's the holiday season. 3. Try your best to avoid toxic people. If you absolutely must see such individuals, then allow only enough time for food-digestion and gift-giving. Drink no more than one glass of wine in order to preserve your ability to think rationally. You don’t want to get confused and decide you really do love these people, only to hear them say something horribly offensive two minutes later. 4. The holidays don't have to be perfect or just like last year. As families change and grow, traditions and rituals often change as well. Choose a few to hold on to, and be open to creating new ones. 5. Find some ‘extra’ social support through the holidays. If you attend Al-Anon once a week, go twice a week. If you attend a yoga class twice a week, try to fit in another. Schedule an extra therapy session as insurance against the potential meltdowns ahead of you. 6. Sadly, it's often easier for us to be nice to someone else than to ourselves. But we can use this tendency to help heal our depression. The great teachers tell us that when we do even a small act of kindness for someone else, at that moment we ourselves receive a blessing (perhaps because we come into healing contact with our own capacity to care). In the end, remember that, painful as it is, depression can lead us to explore healing approaches that we might otherwise never have tried. 7. Understand that you are not alone and that many of us experience depression around the holidays. Understand that sadness, loneliness, and anger do not indicate that something is wrong with you. Just the opposite! They show that you react to painful situations, that you feel, in short, that you're alive! This is healthy. 8. Don't let the holidays become a free-for-all. Over-indulgence only adds to your stress and moodiness. Have a healthy snack before holiday parties so that you don't go overboard on sweets, cheese or drinks. 9. Don't watch too much TV over the holidays. Most programs are not designed to make you a better person, or even feel better. 10. “Time spent laughing is time spent with the gods,” says a Japanese proverb. Research shows that laughing is good for your health. And, unlike exercise, it’s always enjoyable! Remember, with a funny bone in place - even if it’s in a cast - everything is tolerable. 11. Exercise, move, and do physical work. Aerobic exercise for 30 minutes four or five times a week, yoga, chi kung, and tai chi are all simple, safe, and effective anti-depressants. 12. Identify your triggers. Before you make too many plans this holiday season, list your triggers (i.e., people, places, and things that tend to trigger your anxiety and bring out your worst traits). Don't let the holidays become something you dread. Instead, take steps to prevent the stress and depression that can descend during the holidays. Learn to recognize your holiday triggers, such as financial pressures or personal demands, so you can combat them before they lead to a meltdown. With a little planning and some positive thinking, you can find peace and joy during the holidays. 13. Learn to say ‘no’. Saying ‘yes’ when you should say ‘no’ can leave you feeling resentful and overwhelmed. Friends and family will understand if you can't participate in every activity or family get-together over the holidays. 14. Since depression is often frozen grief or anger, if we can feel the warmth of the deeper feelings, we can sometimes begin to melt the ice of depression. Try this awareness meditation several times a week for 10 minutes: Sit with your eyes closed for five minutes and focus on your breathing. Then silently ask yourself, "What else am I feeling?" See if, along with the depression, there is any hurt, sadness, or anger. If so, open up to it and let yourself feel it more deeply. See what happens. 15. Set aside specific days for shopping, baking, visiting friends and other activities. Plan your menus and then make your shopping list. That'll help prevent last-minute scrambling to buy forgotten ingredients. And make sure to line up help for party prep and cleanup. 17. Much of the pain of depression comes from the harsh way we criticize ourselves. But we can learn and practice a different way. Try this meditation: Sit with your eyes closed and think of something about yourself that's hard to accept. Now, let come to your mind the image of someone you know who truly cares for you. Visualize or hear this person accepting and forgiving you for what you find hard to accept. Try this for five minutes a few times a week. 18. If you feel lonely or isolated, seek out community, religious or other social events. They can offer support and companionship. Volunteering your time to help others also is a good way to lift your spirits and broaden your friendships. 19. Practice “SEE,” which stands for Sleeping regularly, Eating well, and Exercising often. Without these three basics, you can forget about an enjoyable - or even tolerable - holiday. 20. A great acronym to remember during the holidays is HALT: don’t get too Hungry, Angry, Lonely, or Tired. 21. Despite your best efforts, you may find yourself feeling persistently sad or anxious, plagued by physical complaints, unable to sleep, irritable and hopeless, and unable to face routine chores. If these feelings last for a while, talk to your doctor or a mental health professional. 22. Try to accept family members and friends as they are, even if they don't live up to all of your expectations. Set aside grievances until a more appropriate time for discussion. And be understanding if others get upset or distressed when something goes awry. 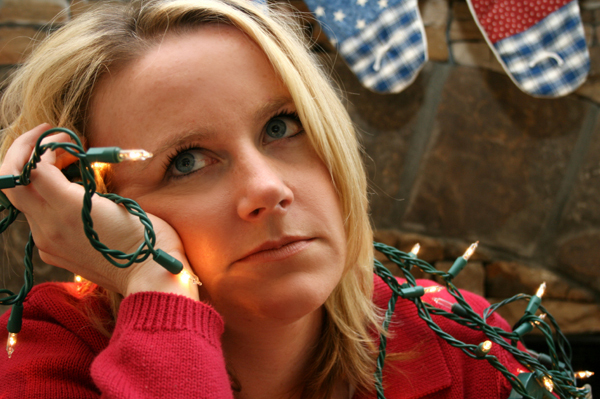 Chances are they're feeling the effects of holiday stress and depression, too. 23. Before you go gift and/or food shopping, decide how much money you can afford to spend – then stick to your budget. Don't try to buy happiness with an avalanche of gifts. 24. Make some time for yourself. Spending just 15 minutes alone, without distractions, may refresh you enough to handle everything you need to do. Take a walk at night and stargaze. Listen to soothing music. Find something that reduces stress by clearing your mind, slowing your breathing, and restoring inner calm. 25. Take the SAMe supplement during the holidays. SAMe is derived from an amino acid that is a quick, natural anti-depressant. SAMe is available in health food stores (use only GNC, Naturemade, or Puritan's Pride brands, because research has shown these to be the only brands with reliable efficacy). Are there certain behaviors that are causing you to not trust your neurotypical spouse? Do you have unresolved issues that are hindering you from trusting other people in general? Be fair – even in an argument. Be organized and clear about your respective chores in the home. Write all the chores down and agree on who does what. 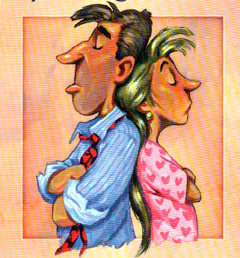 Be fair: Make sure each spouse’s tasks are equitable so no resentment builds. Be sensitive to the other's feelings. You can still disagree, but don't discount how your spouse is feeling. Be willing to work on your relationship and to truly look at what needs to be done. Contact each other through the day. Do the things you used to do when you were first dating. Don't dig up old wounds or bring up the past. Don't lie (not even little white lies). 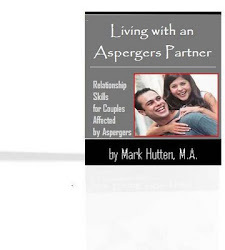 Don't think that your life will be better with someone else; the same problems you have in this relationship (e.g., due to lack of social skills) will still exist in the next relationship. If you both hate housework, maybe you can spring for a cleaning service. If one of you likes housework, the other spouse can do the laundry and the yard. As long as it feels fair to both partners, you can be creative and take preferences into account. Learn to let things go and enjoy one another more. Say "thank you" and "I appreciate you" several times throughout the week. It lets your spouse know that she matters. Schedule time together on the calendar just as you would any other important event in your life. Show an interest in each other. Thinking your spouse will meet all your needs – and will be able to figure them out without you having to ask – is simply wishful thinking. Ask for what you need directly.